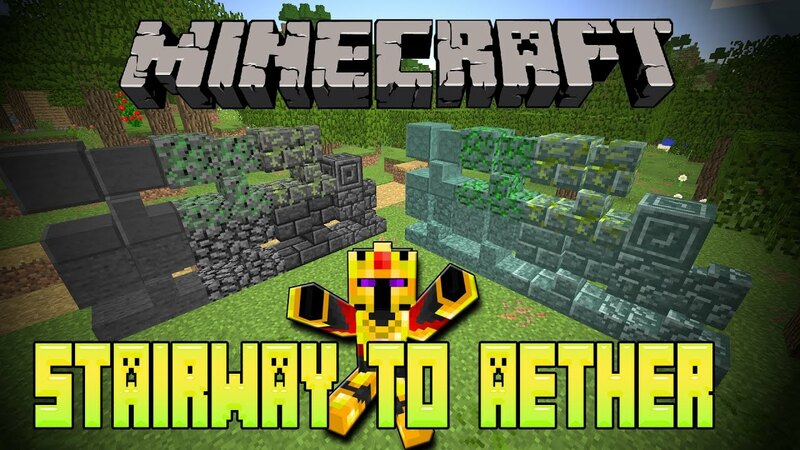 Stairway to Aether Mod 1.12.2/1.11.2 brings you what should have always been in Minecraft in the first place. Stairs and Slabs and Walls. And all the different Cobble and Brick variants for the currently available stone types. So what you get is a whopping amount of over 300 new building blocks. To ensure every stone type is treated the same, the normal grey Stone now has a polished stone variant. and to fit in the polished variant certain changes were made to Recipes. Now you can simply craft Stone from Cobblestone, and smelt Stone into polished Stone, but need polished Stone to craft Stone Bricks. All new features can be toggled off in the config at your desire. All non-stone Types received crafting recipes for everything that uses Stone and Cobblestone. e.g. Furnaces, pressure plates, levers. Cobblestone recipes only available if Block is extended in Config.